The film Resident Evil Afterlife was conceptualized and shot as a 3D movie from day 1. Be prepared to be thrilled and entertained in this newest film in the Resident Evil movie series. 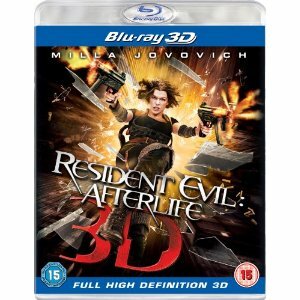 So seize the opportunity to see Resident Evil: Afterlife in the glorious eye popping details of the 3D Bluray standard.